Madeleine Vionnet was called the "Queen of the bias cut" and "the architect among dressmakers," Vionnet is best-known today for her elegant Grecian-style dresses and for introducing the bias cut to the fashion world. Madeleine Vionnet was born in 1876 into a poor family in Chilleur-aux-Bois, Loiret. She began her apprenticeship as a seamstress atage 11. After a brief marriage at age 18, she left her husband and went to London to work as a hospital seamstress. Vionnet eventually returned to Paris and trained with the well known fashion house Callot Soeurs and later with Jacques Doucet. In 1912 she founded her own fashion house, "Vionnet", for a short time just before World War I. The House of Vionnet grew to employ over 1,100 seamstresses and was the first fashion house to create ready to wear (pret-a-porter) designs from haute couture for sale in the United States. In 1922 Vionnet's extravagant designs were inspired by Greek vases and Egyptian frescoes. She invents a "bias" cut to make dresses that fit tightly at the waist and flare out into a bell-shape skirt. She designs "seam decorations" decorating visible seams in star or flower shapes in 1925. With her bias cut clothes, Vionnet dominated haute couture in the 1930s setting trends with her sensual gowns. Vionnet's vision of the female form revolutionized modern clothing and the success of her unique cuts assured her reputation. She fought for copyright laws in fashion and employed what were considered revolutionary labor practices at the time - paid holidays and maternity leave, day-care, a dining hall, a resident doctor and dentist. In 1939 Madeleine Vionnet is awarded the Legion d'Honneur, France's highest honour. Vionnet closed her house when the Second world war started but did not reopen after the war. She lived to the age of 99 and died in 1975. 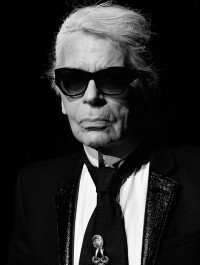 Till the end of her life, she continued to monitor and comment on haute couture, whose artistry she had done so much for and where she is remembered as one of the greatest designers of all time. 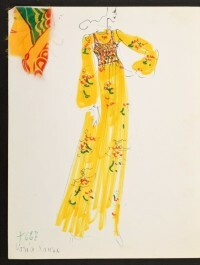 Vionnet employed several talented illustrators. Muguette Buhler was one. Another illustrator who drew Vionnet's gowns which were published in the Paris fashion magazine "Gazette du Bon Ton" was Thayaht. Madame Vionnet is considered one of the greatest designers. She was an architect of fashion. She chose fabric and line based on the client and cut with mathematical precision. She made most of her designs on wooden puppets first, letting the shape fall around them continuously until she was satisfied. She invented cutting on the bias which changed the fit of clothes forever. A bias cut meant that a Vionnet dress could be just slipped over the head and worn without underpinnings and fastenings. Her clothes came to life on the body. 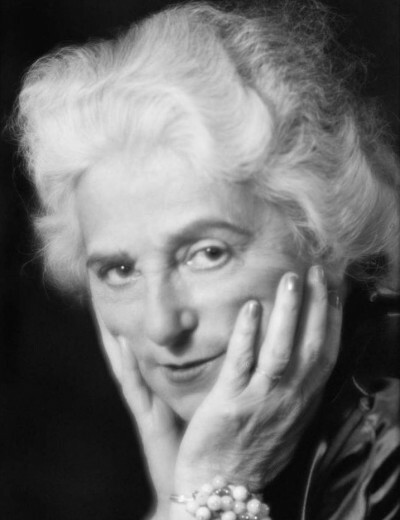 Madeleine Vionnet believed that "when a woman smiles, then her dress should smile too." Eschewing corsets, padding, stiffening, and anything that distorted the natural curves of a woman's body, her clothes were famous for accentuating the natural female form. Influenced by the modern dances of Isadora Duncan, Vionnet created designs that showed off a women's natural shape. Like Duncan, Vionnet was inspired by ancient Greek art, in which garments appear to float freely around the body rather than distort or mold its shape. As an expert couturier, Vionnet knew that textiles cut on the diagonal or bias could be draped to match the curves of a woman's body and echo its fluidity of motion. She used this "bias cut" to promote the potential for expression and motion, integrating comfort and movement as well as form into her designs. Vionnet dresses are displayed in museums around the world. They are almost abstract and seem to glide on the body with rhythm. Elaborate gowns would have a single seam, yet when worn were tied, draped, twisted and fell free. It was as though the fabric was feeling the body or the body was wearing air. She had a deep knowledge of just how fabrics move and hang. She used supple silks and jersey. Her favourites were crepe, georgette, mousselin, organza and lame. Her fabrics were made specially in two metre widths to accommodate her bias cut. They were masterpieces. She was known as the 'Euclid' of fashion because her gowns drew inspiration from Greek statues. Triangles appear at the neck and become the essence of cowl or halter necklines. Patterns of stars, interlocking circles or stylized circular flowers taper a dress at the waist, widening at bust or hips.